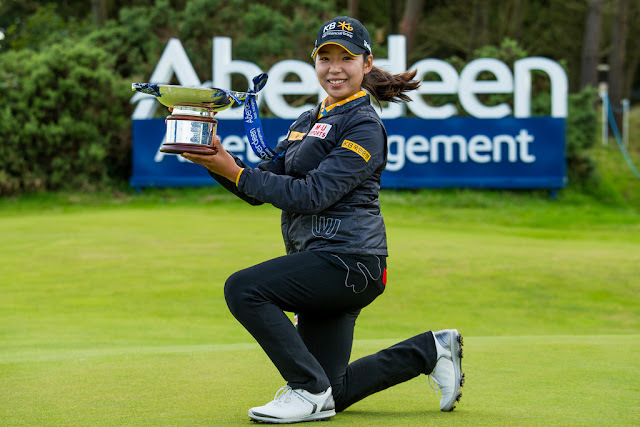 Mi Hyang Lee of South Korea shot a six-under-par 66 in fine and breezy conditions to win the Aberdeen Asset Management Ladies Scottish Open by a stroke from Australian Karrie Webb and compatriot Mi Jung Hur on a dramatic final day at Dundonald Links in North Ayrshire today. The 24-year-old world number 49, from Incheon, wasted little time as she made six birdies against a bogey in her first nine holes to catch the experienced overnight co-leader Webb, before closing with a birdie on 18 for a 72-hole total of 282, six-under-par. While Hur set the clubhouse target with her own 66, Webb was two strokes ahead of the chasing pack after chipping in for eagle on the long 14th, but then sensationally dropped three strokes in two holes. The Hall of Famer uncharacteristically three-putted 16 and then hit her tee shot into a deep pot bunker on the 17th fairway, from where she had to play out backwards, only to find another bunker with her third shot, running up a costly double bogey. Webb needed to hole a greenside bunker shot for eagle on the final hole to force a play-off, but made an up and down for birdie and a final round of 73. 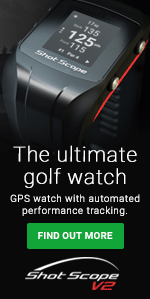 Lee looked totally shocked as she was told that she had won her third professional title, following the LET’s New Zealand Women’s Open and the LPGA’s Mizuno Classic in 2014. She said afterwards: “It was really a surprise for me. My front nine was amazing, and then I think I got a good start from my first hole. Webb was extremely disappointed as she thought she had hit the perfect tee shot on 17, but it had kicked into the fairway bunker. “I absolutely knotted my 3-wood exactly how I wanted and my caddie said it kicked into the bunker. I have no idea how it did that,” she said afterwards. 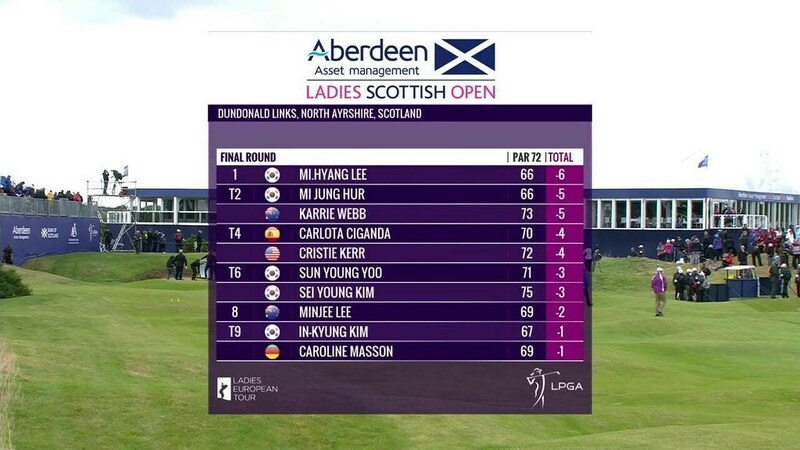 Carlota Ciganda and Cristie Kerr were also in contention up until the final hole, but ended in a tie for fourth place after final rounds of 70 and 72 respectively. “I played enough birdies to be up there. I made a few bogeys, a bogey on 10 and 11. Those two were tough, the same as yesterday. Overall, I'm happy. 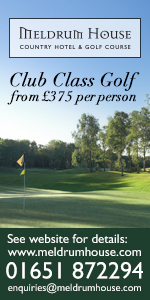 I played solid this week and I think I'm ready for next week,” said Ciganda, ahead of the Ricoh Women’s British Open. South Korean pair Sun Young Yoo and Sei Young Kim tied for sixth place, with Minjee Lee a stroke further back in eighth place. European Solheim Cup rankings leader Georgia Hall came home in 31 to tie for ninth place with Caroline Masson and In-Kyung Kim. The three Ladies European Tour Members who qualified for the season’s fourth women’s Major championship at Kingsbarns were Lina Boqvist, Olafia Kristinsdottir and Becky Morgan, who edged Katie Burnett with a better back nine score, both players having shot a final round of 69 to tie for 33rd position. Jessica Karlsson dropped three shots in her last two holes to miss her spot in the season’s fourth Major and will now head to Final Qualifying, looking to seal one of the 22 spots available at The Castle Course, St Andrews, tomorrow.